There are new vape kits hitting the shelves every week these days. If you’re starting out, it can be difficult to know what to choose (especially if you don’t have a vape shop nearby to ask for help from). What works for your friend might not be exactly right for you so we’ve compiled a list of some of the best e-cigarette kits for beginners. Most people start out vaping with what’s called a mouth to lung style vape. Essentially this means that to use it, you inhale in the same way you would a conventional cigarette. Drawing vapor either by pressing a button or just inhaling to activate it, you hold the vapor in your mouth then inhale it into your lungs. Mouth to lung starter kits are usually lower powered and set up for higher nicotine strength e-liquids favored by most ex-smokers. These kinds of kits come in three setups, it’s important to understand the difference before you go about choosing one. 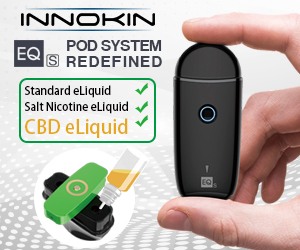 Your first option is a closed pod system where you have pre-filled pods that simply need to be clicked into place to vape. Once they’re empty, you throw the old one away and put in a fresh one. Typically these ones are filled with nic salts, the fastest acting nicotine liquids you can get. Next, you can get open pod systems which are as easy to use as clicking a pod into place but can also be refilled. You can use them until the heating element (the coil) inside wears out. They’re great for using with nic salts or liquids with higher levels of propylene glycol (for a stronger throat hit). The final setup you can get is a vape with a tank, they’re often a “pen vape” design. These require you to change the coil but they typically last longer than pods and have better battery life. If they have a coil resistance of greater than 1.0ohm, they’re ideal for either nic salts or high PG liquids. The Aspire Gusto. For when you don’t want to fiddle with coils or refilling anything, the Gusto is a firm favorite with vapers for a reason. The pods have a high nic salt concentration and come in a huge variety of flavors. From traditional options like tobacco and menthol to exotic options like strawberries and cream, watermelon chill and pink lemonade. It has a 900mAh battery to keep you vaping for hours and a simple one-button design. Just click 5 times to switch it on and press to vape. The Juul. It’s dominating more than 70% of the US market for a reason. 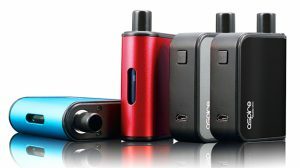 One of the smallest vapes on this list, this compact and easy to use kit has high strength nicotine pods. With a core range of flavors to keep things simple and satisfying, the starter kit includes four different flavored pods so you can figure out what your personal preference is. It’s as simple as clicking your pod of choice into place and inhaling to vape. SMOK Infinix. 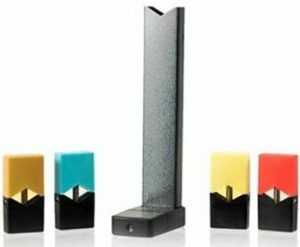 If you like the idea of the Juul but find the pods limiting, this one could be for you. The Infinix is slim and easy to use and the pods are refillable so you can choose your flavor and nicotine strength. You’ll also get plenty of uses out of them before they need changing. To vape, you just inhale from the mouthpiece. Smoking Vapor Mi Pod. 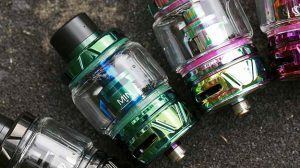 The Mi Pod is one of the smallest devices on the market making it a great option for slipping into your pocket to vape on the go. It has a 2ml capacity which is very generous for a kit this small as well as a 950mAh battery. Like the Infinix, it’s ideal for use with nic salts and the design is manual draw activation – meaning you just inhale to vape. Vaporesso Orca Solo. Sleek and simple, the Orca Solo is a popular pen vape for a number of reasons. It has a 1.5ml tank protected by stainless steel casing to help protect it from any accidental drops and a curved drip tip on the tank to enhance flavor. It takes 45 minutes to recharge its 800mAh battery fully and a simple one-button design to vape. Aspire PockeX. The PockeX is a classic for a reason. With two coil options, one for a mouth to lung vaping and one for direct to lung vaping, this kit will evolve with you as your style and preferences change. It also has a generous 1500mAh battery and comes in plenty of colors making it the most versatile and easily personalized kits on this list. A solid all-around beginner vape from Aspire. 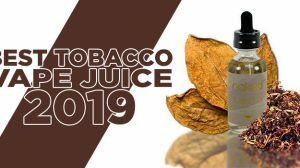 Any of the kits here will give you a satisfying nicotine hit, are simple to set up and use and many will be a versatile option for you over time. 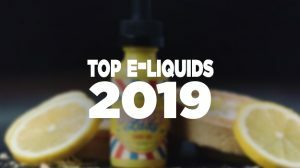 Even if you can’t get to your nearest vape store in person, you can get advice from a specialist online vape store as well as bulk deals on e-liquids meaning you can try different strength liquids to go with your vape.